Sea in front of the Kurumayaku 15 minutes eyes than 13 minutes Beppu IC walk from Beppu Station Excellent location! Guests coming by car, get off the Beppu IC Kyushu Expressway, to the beach in Beppu Bay. Please use private parking lot around the end (NO 46 to NO No. 54). In case of full car please use front parking lot. Arrive 24 hours OK! The night front desk is waiting for you in the middle of the night. Access to sightseeing spots in Beppu is perfect as well. 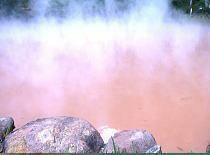 Mimatu Oetei will be waiting from the heart. Please take care.※Guests with dinner will have a final check-in at 18:30. "Chinoike Jigoku" "Umi Jigoku" "Oniishi Bozu Jigoku" "Yama Jigoku" "Kamado Jigoku" "Tatsumaki Jigoku" "Shiraike Jigoku".A small trip around this Beppu's "Hell" in about two hours. Starting with the topic wooden coaster "Jupiter", there are lots of fun.You can enjoy it perfectly for one day. 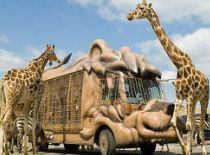 There are lots of attractions and impressive live shows that can be enjoyed by family members! 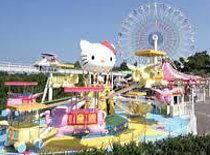 A theme park where you can meet Sanrio characters. A natural park where there are numerous wild animals on a vast site.You can see lioness and other beasts in front of you. 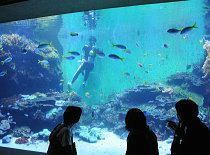 Popular aquarium.It is a theme park where you can interact with sea creatures.There is a Monkey Takasakiyama Nature Zoo Park next to the road across the road.